In previous article we tried to introduce some public holidays in Barcelona which are religious or national holidays. If your agenda for your Barcelona city travel coincides with any of these bank holidays in Barcelona you may be lucky to be able to watch a real local festival that belongs to the city and you just should be aware that public transportation in bank holidays can be limited and restaurants, banks, bars, offices or shops are closed on those days. If the holidays cross Tuesday or Thursday then Barcelona people will take Monday or Friday off. In Barcelona city they call it pont or puente when they combine the days on holidays. Here we will continue to mention about national holidays in Barcelona from March. You can check January and February holidays in Barcelona if you click National holidays in Barcelona. Good Friday and Easter Week is observed to welcome spring in Barcelona city. Catalan call it Holy week as a week of holy occasions starts with Palm Sunday and eventuates with Easter Sunday. It starts with Semana Santa which is Palm Sunday and grandparents give the children an Easter cake called monas de pascua. Occasions take place at Ciutat Vella. A strict Catholics don't eat meat on Easter week. Instead they prefer seafood. Every year the occasion day may vary but Easter week in Barcelona city 2015 will be like that; Good Friday is on April 3, Easter is on April 5 and Easter Monday is on April 6. 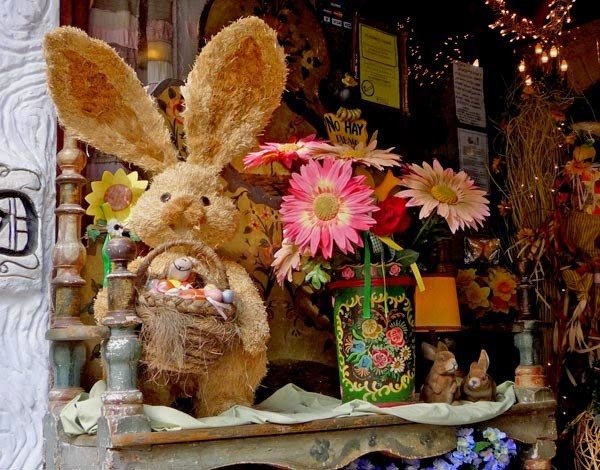 The Easter week is generally celebrated in March. You can check the Public holidays calendar in Spain from our site. Sant Jordi Day or in other way Saint George is celebrated on April 23 every year. This occasion includes books and roses. So what does it mean? In 1616 the most famous poet Cervantes died and Shakespeare was born. In the memory of the patron of Catalonia, on 23rd April all couples who are not married come together in the streets and give each other book and rose. 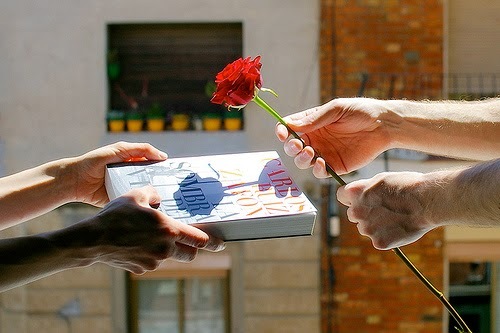 The tradition in Sant Jordi Day is men give roses to the women and women give books to men. In some sources it's known as International Day of the Book. Even though it's not known why Sant Jordi became the patron of lovers but books and roses represent love and literature at the same time. If you will go to Barcelona city with your lover and your travel time coincide with April 23 why don't you participate this lovely occasion? For your best holiday in Barcelona city we suggest you follow your Barcelona city travel guide. Here below we present a video to set an example for Good Friday procession at night. Enjoy the video.